The new PolyPropylene thermoforming grade is based on Milliken's nucleating innovation Hyperform HPN-600ei, said a statement from the company. 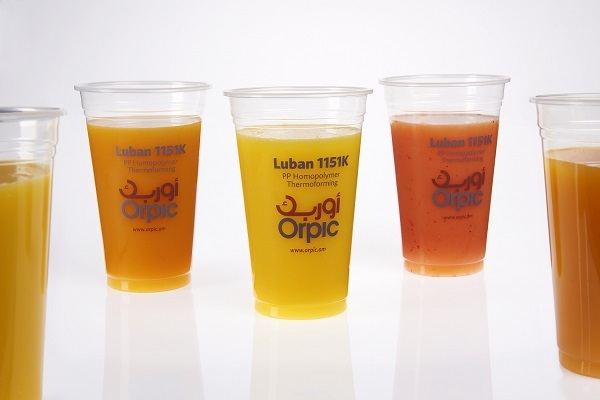 Orpic’s Luban HP1151K combines high clarity and aesthetics with a new level of superior dimensional stability for thermoformed products. Luban HP1151K is based on the latest technology available to offer the food packaging and household storage solutions industries a new benchmark in pure, high quality PP, it stated. Apart from being able to increase the number of articles that can be produced, the high quality finished products provide good stacking performance. According to Orpic, the new product also offers a broad processing window that opens up distinct product quality and consistency advantages plus the all-important productivity benefits for converters. Additionally, the grade delivers optimal environmental and handling-related advantages associated with using lightweight PP compared to other materials, it stated. Gilles Rochas, the general manager (polymer) at Orpic, said: "The product has a good resin base and tests conducted so far have been successful. Luban HP1151K reduces haze in the product and increases clarity and gloss." "We are confident that Luban HP1151K will offer Oman and the international packaging customers an opportunity to reduce their cycle times and achieve better results through less wastage whilst offering all-round productivity improvements," he noted.